Masterpacks of 12 and 2. 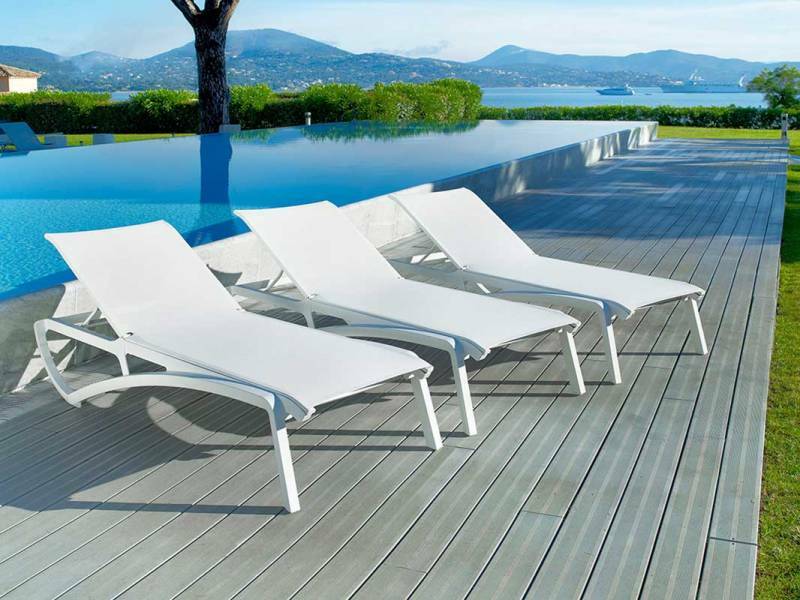 Price reflects each chaise in a master pack of 2. 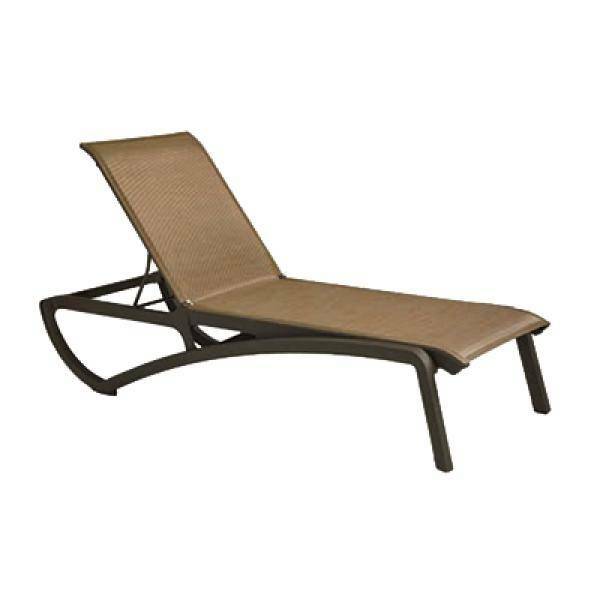 Dimensions: 30"W x 75 1/2"D. 15” Seat height. 43.58 Lbs. each. 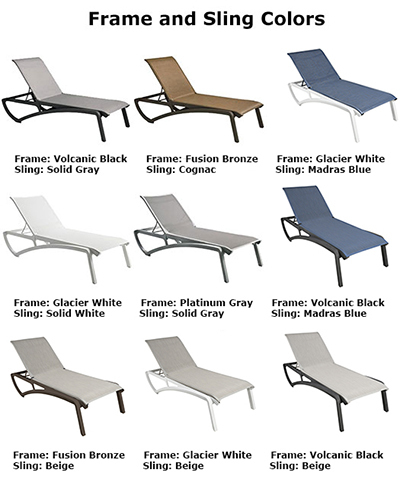 Sunset Sling Chaise Lounge is an ideal choice for any outdoor area whether it be your pool or spa or beach resort. ASTM rated for safe commercial use. The chaise features a technopolymer frame with air molding technology providing the highest durability and support. 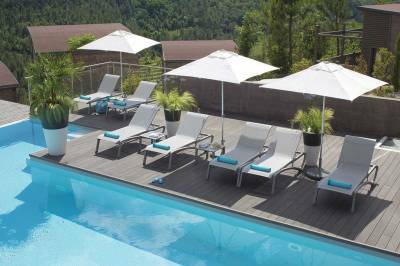 The look of cast metal without the maintenance or cost. Recessed wheels for ease-of-use and 100% recyclable. Stacks for easy storage.